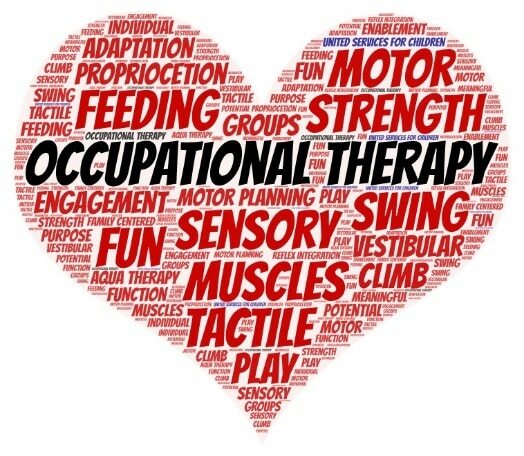 But what is Pediatric Occupational Therapy? If therapy is done right, it looks like a fun play session! However, there is a purpose for each activity. An OT must know all domains of development at all ages to be able to intentionally provide intervention that will result in skill achievement. Additionally, pediatric OT’s have a strong knowledge base about medical diagnoses and how children may be impacted. During a therapy session, an OT is constantly evaluating the child’s performance to adjust the activities to provide a just right challenge. At United Services we provide OT for children ages 0-15 years of age. 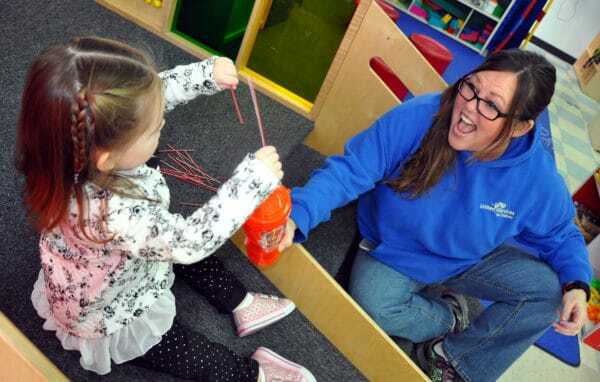 We work in our early intervention program with children who are in First Steps. Our outpatient program, Uncommon Grace, serves children in individual and small group settings. All insurances, including Medicaid is accepted. Support from the Variety Club is also available for therapy visits. If you would like talk with an OT, please call US at 636-926-2700! A referral for OT will begin with an appointment for an evaluation. Assessments will be given by an occupational therapist based on the challenges the child is experiencing and the input of the caregiver. Results are discussed and together a treatment plan with goals is developed in conjunction with the caregiver. Throughout therapy, goals are reviewed and the treatment plan is updated. Caregivers are a crucial part of the therapy team and are encouraged to participate in all aspects of therapy as well as carry-over activities outside of the therapy session. Below are examples of common diagnoses and goal areas; this list is not inclusive. OT’s can work with a child with any diagnosis. 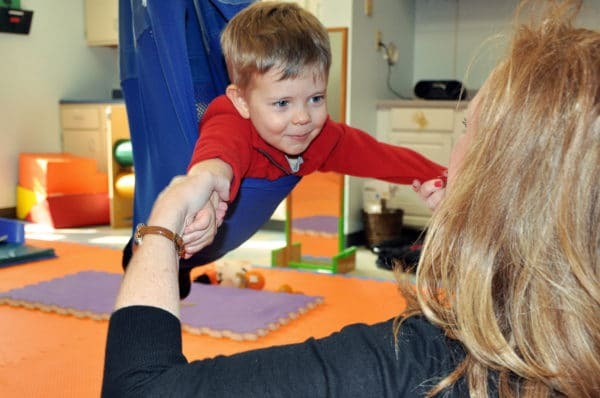 Children with CP may experience challenges with movement due to muscular imbalances. Therapy to facilitate typical movement patterns for developmental activities. Grasping activities for learning to draw/write, use scissors, self-care activities. Children with Down Syndrome frequently have low muscle tone an strength. Sometime therapy is needed to facilitate age appropriate skills and motor milestones. A general term of developmental delay may be used to describe when a child is challenged to achieve age appropriate skills.